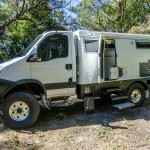 Almost a year since we picked up our Earthcruiser. 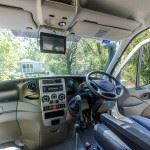 Many kilometres travelled on our first trip – the Nullabor, Canning Stock Route, Kurunji Track, Gibb River Road, Mitchell Plateau, Kulumburu and the west coast in style and comfort. 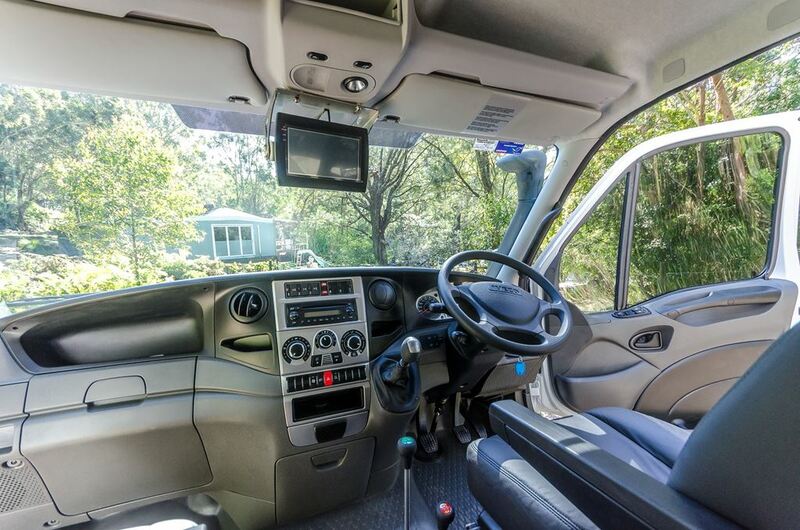 One major problem with the Iveco on the CSR was dealt with amazingly quickly thanks to Mark and the Iveco team. 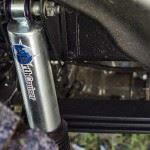 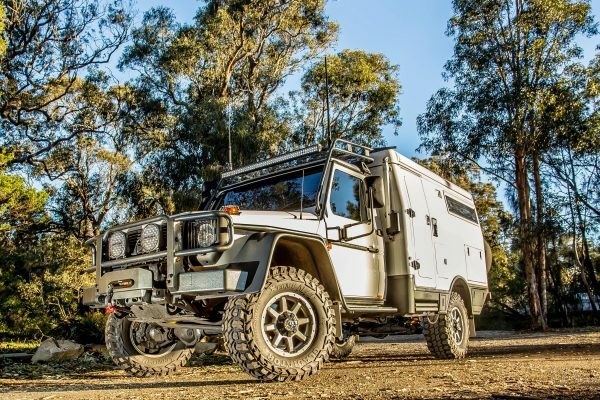 The Earthcruiser coped easily with the unyielding rough roads. 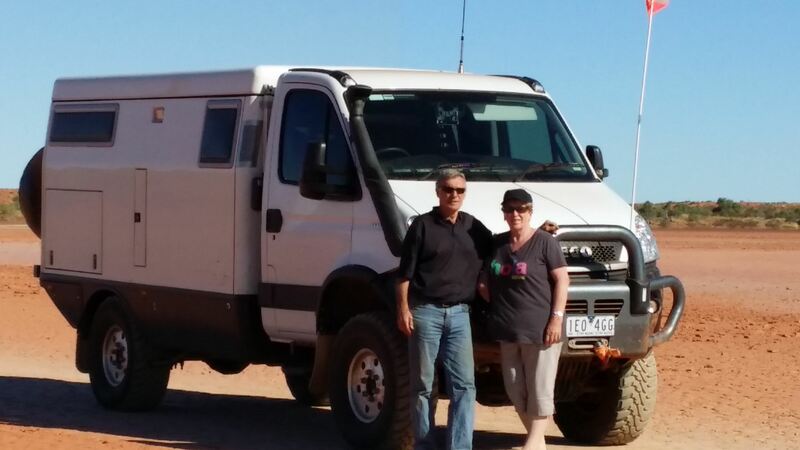 Mark and Susan’s advice and assistance was always readily available when required. 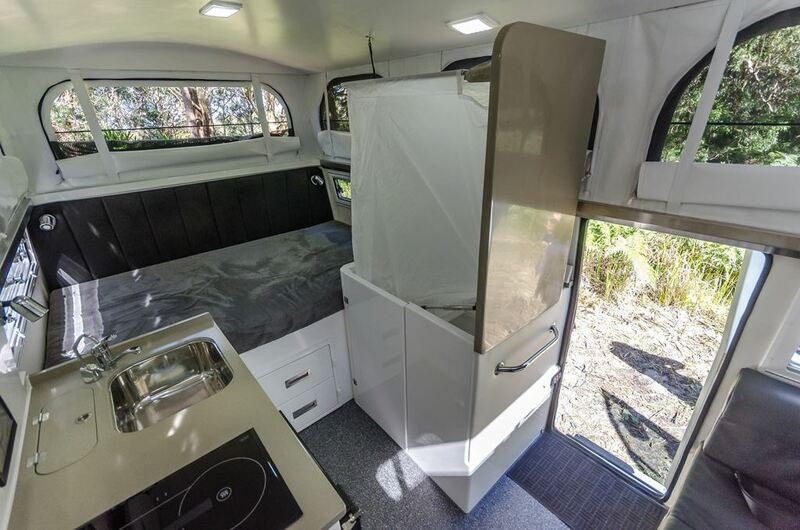 Earthcruiser Australia have nicknamed this particular Earthcruiser interior as “The Stow-Away”. 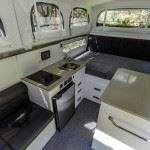 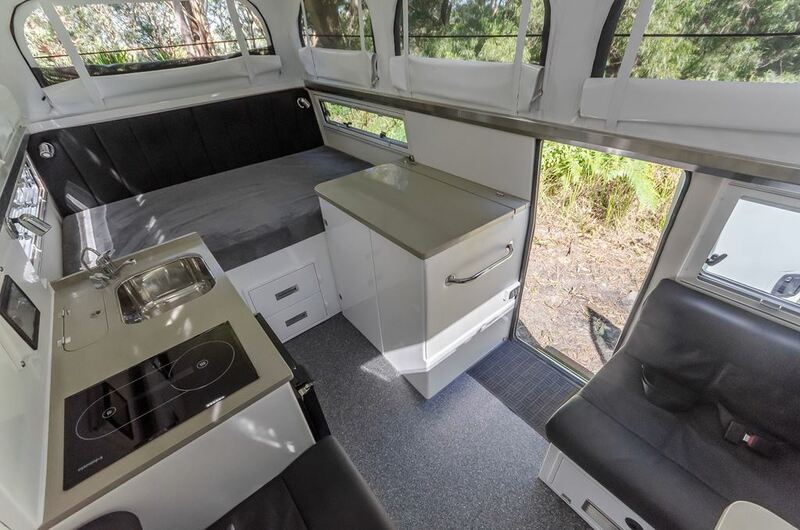 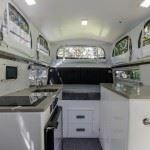 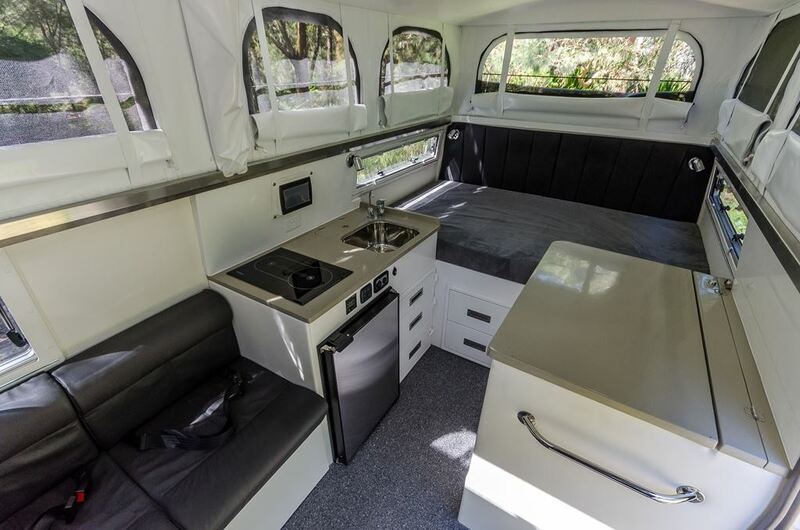 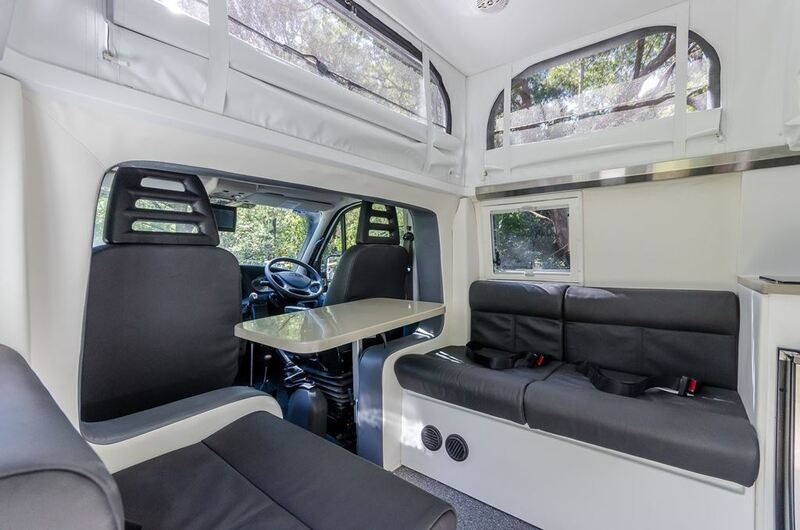 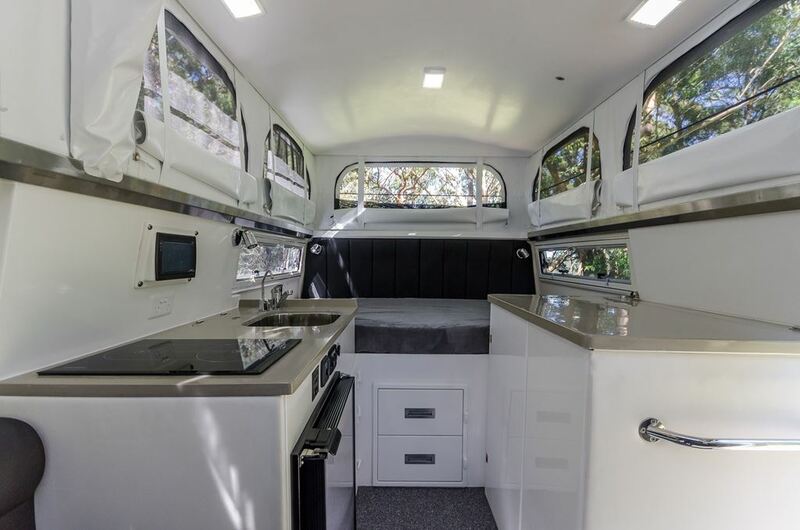 This customer’s objectives were to have a more open plan interior with more living area in lieu of the usual storage capacity that Earthcruiser offers. 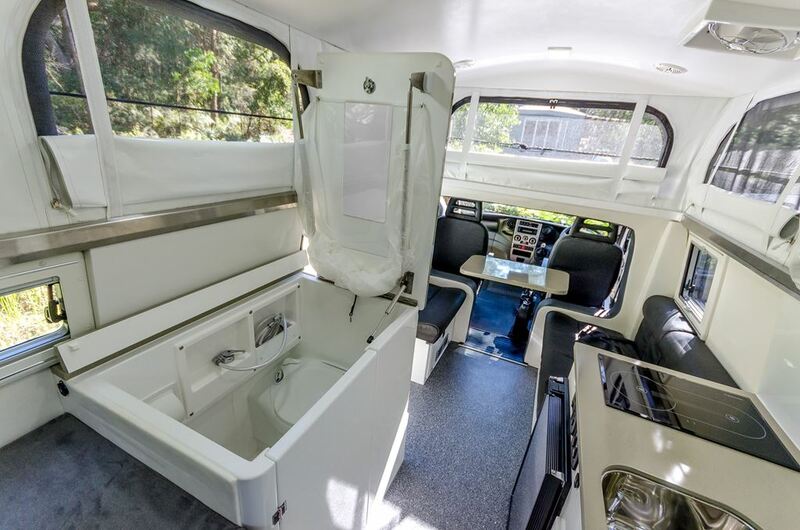 The concept of “The Stow-Away” is a smartly tucked away toilet/shower cubicle underneath a benchtop, allowing for the entry way to openly lead directly into the lounge area with no obstructing walls. 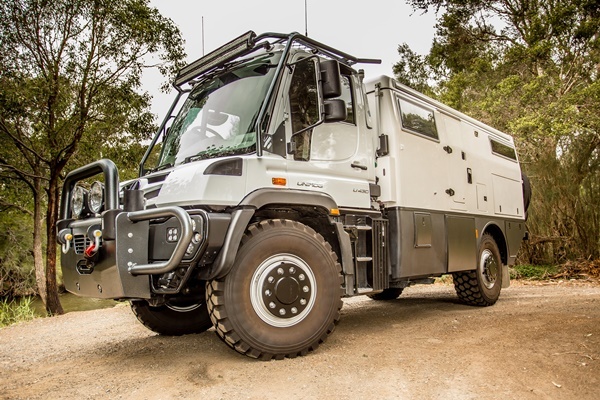 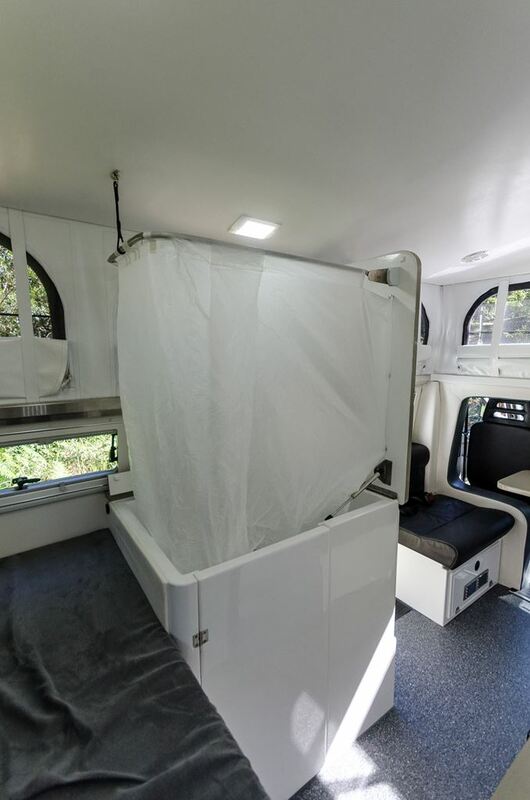 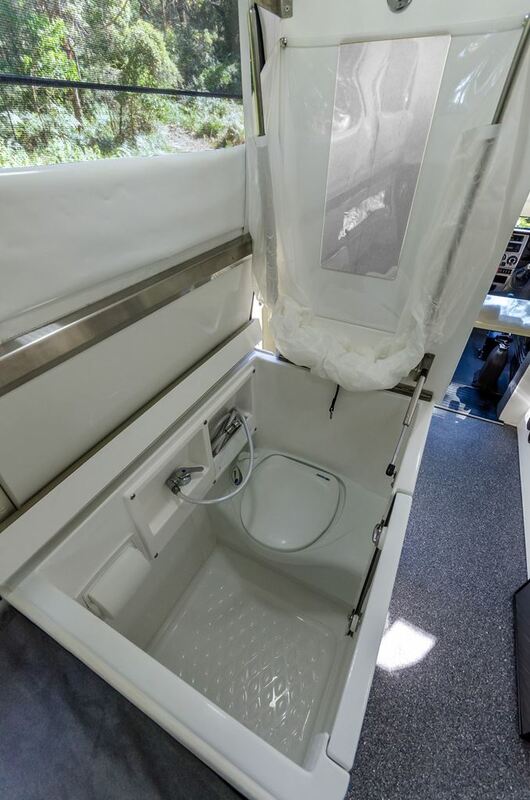 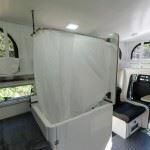 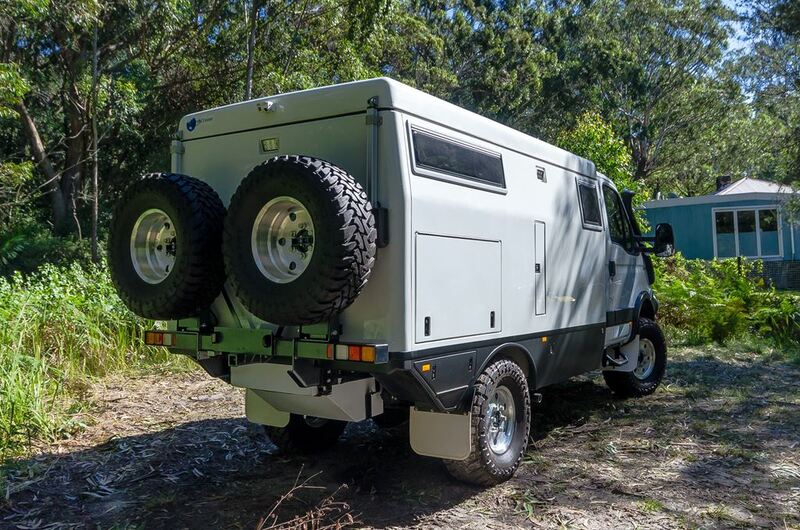 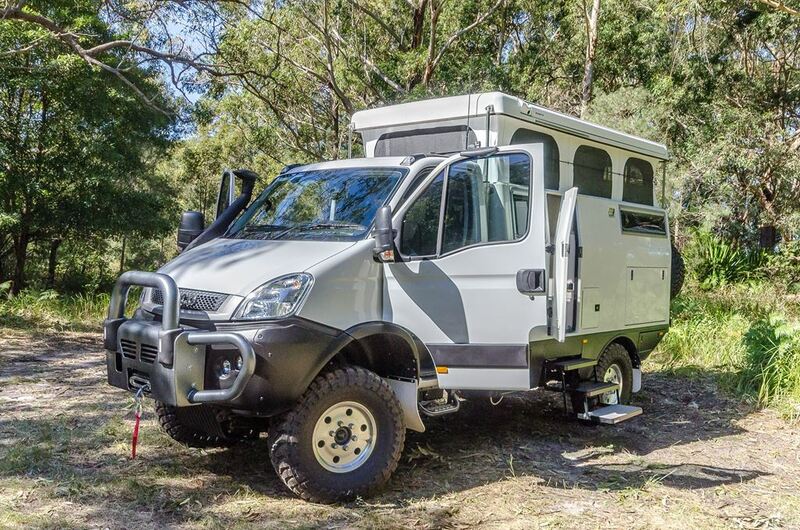 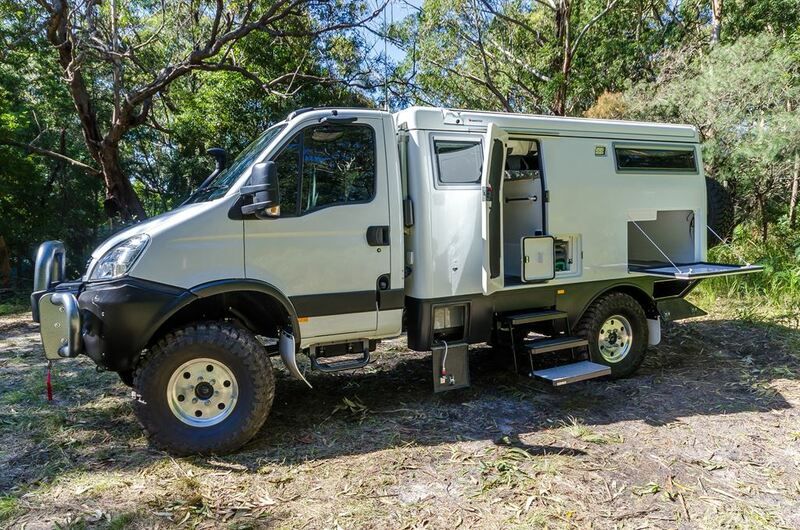 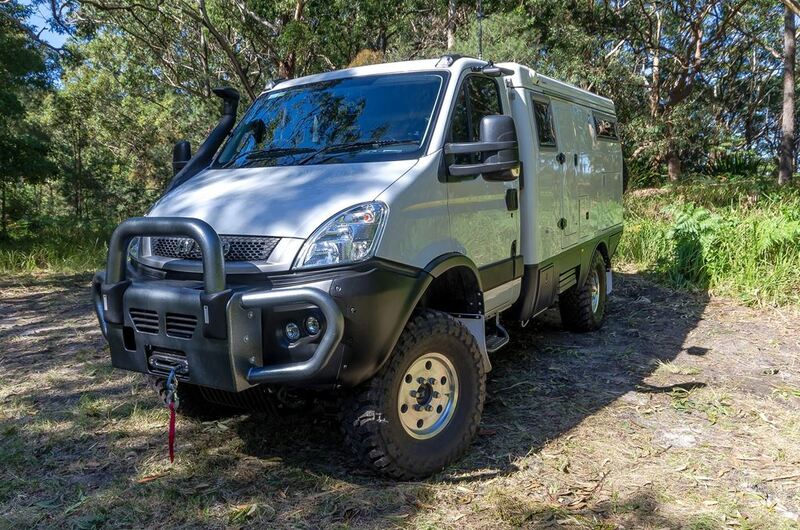 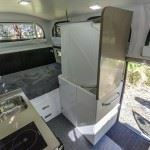 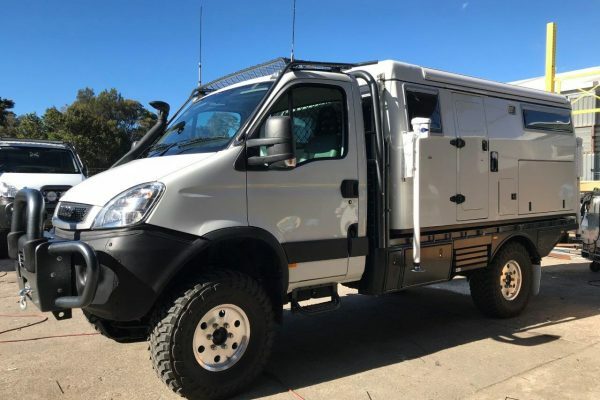 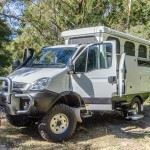 Earthcruiser Australia achieved this by moving & creating a more compact toilet/shower cubicle further back from its usual location at the door entry, whilst still allowing a generous entry space without compromising any other areas in the vehicle. 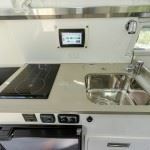 The benchtop is brilliantly designed as it has numerous jobs that it has to perform. 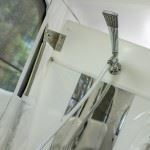 There are two parts to “The Stow-Away” benchtop, one section of the lid, when opened is secured against the wall via a magnetic catch and the other is gas strut assisted and easily lifts to reveal the toilet/shower cubicle and the fold-able shower ring with a secured shower curtain. 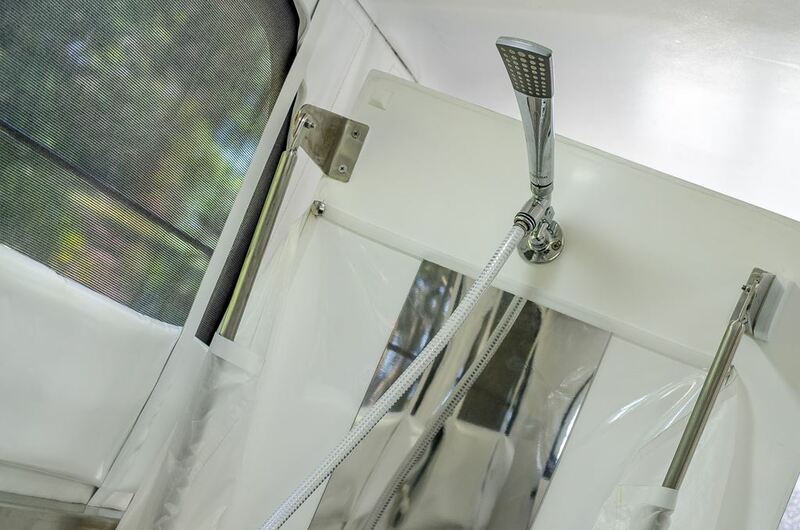 When the shower ring is extended and fixed at a point to the ceiling, the shower curtain opens up. 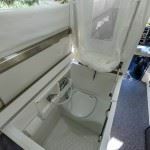 Only at this point do you realise that this is a toilet/shower cubicle! 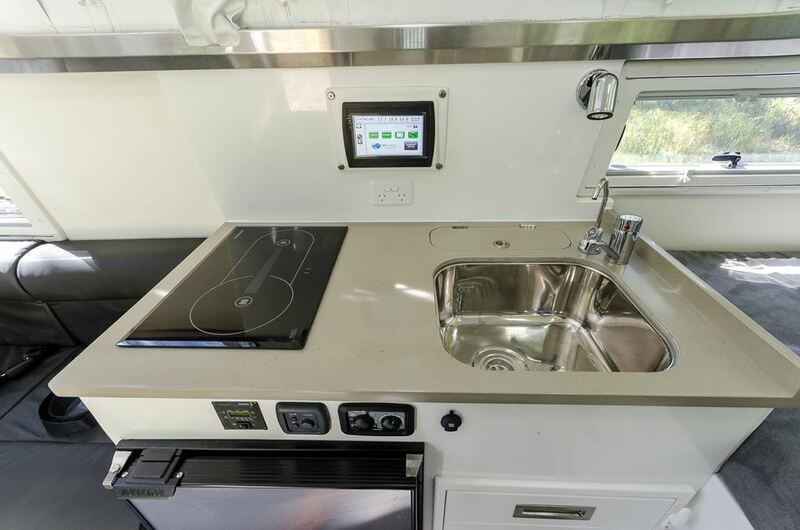 The underneath of the benchtop is also equipped with the bathroom mirror and housing for the hand held shower head. 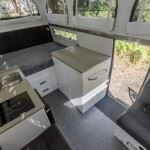 As easily and as quickly as it is setup “The Stow-Away” is just as easily disassembled for your convenience and you have the added bonus of an extra benchtop area to utilise as well. 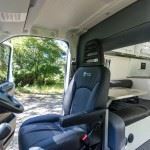 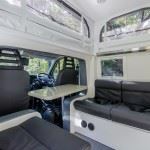 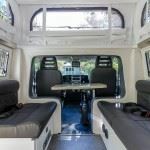 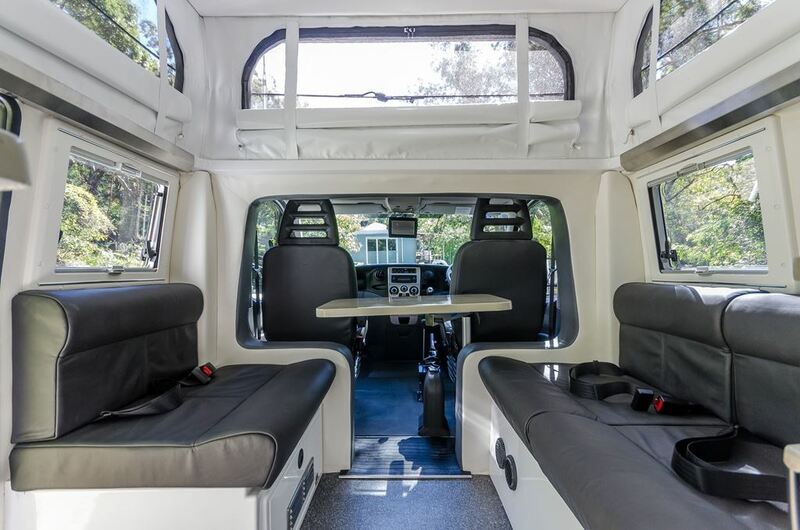 This vehicle also features a generous 3 camper seat configuration, double seats on one side and a single on the other, so you can spread out and enjoy the space. 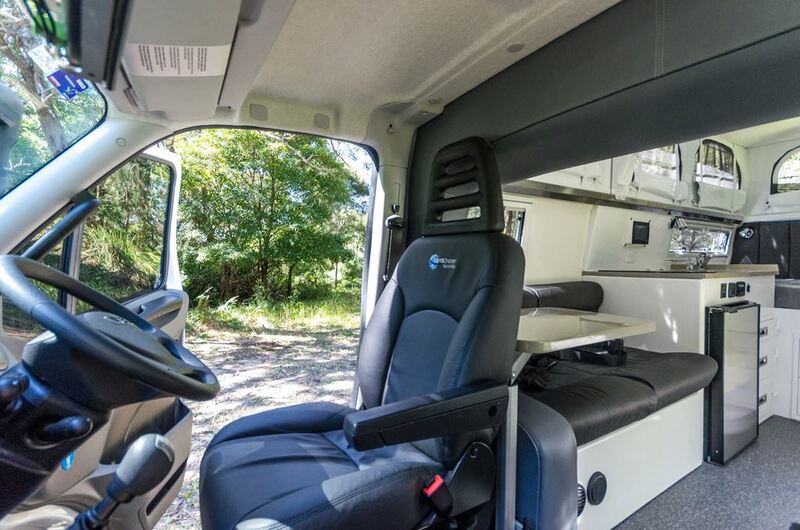 The seats also doubles up as a second sleeping area. 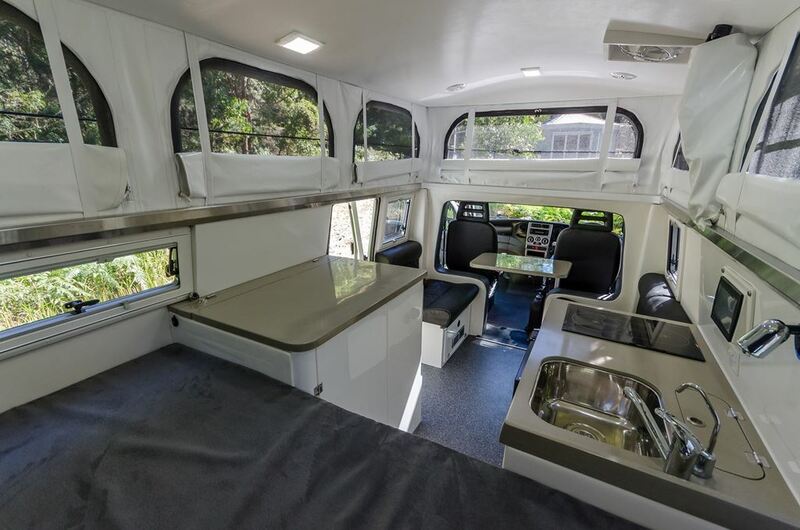 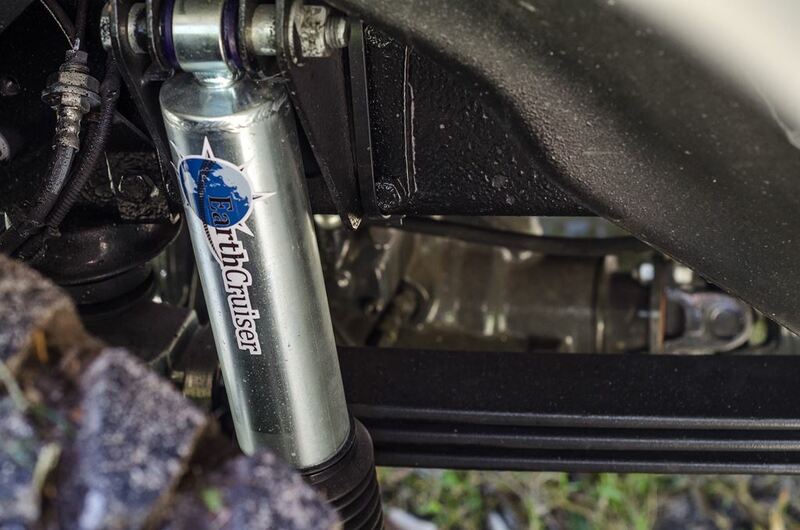 This Earthcruiser is equipped with the base amenities plus optional comfort features selected by this customer.